In today’s marketplace, many businesses are operating on a global scale and not just in a single country. Businesses often have a complex supply chain that allows them to support customers beyond their border. Many countries operate on a Value Added Tax (VAT) system, which is considerably different from the U.S. sales tax system. VAT varies from sales tax in the terminology that is used, what triggers collection/remittance obligations, administrative duties, and much more. If you’re only familiar with how U.S. sales tax works, it is time for you to get trained on VAT. If you work for a business selling into or operating in multiple countries, there is a good chance that you have VAT obligations and need to manage this compliance as a part of your duties. And if you’re not well-versed in VAT, you’re creating tremendous risk for your company. Who should attend? This webinar is intended for tax and accounting personnel who work in companies that have operations outside the United States. The course is also designed for general practitioners who deal with Value Added Tax, with minimal to no experience. 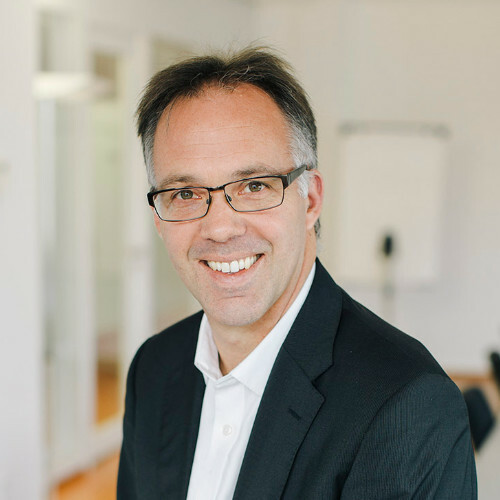 Florian Hanslik is an Indirect Tax expert and has almost 20 years of professional experience, focusing only on Indirect Tax for the past 12 years. Florian has a broad-based experience in International Indirect Taxation which he gained as a member of the Indirect Tax teams of big-4 companies in Switzerland. Besides Swiss VAT, he focuses on European Indirect Tax by assisting globally active companies with their national and international transactions. There can be a steep learning curve when it comes to understanding the terminology and intricacies of VAT for U.S. sales and use tax practitioners. Sure, there are some similarities between VAT and sales tax, but there are many differences as well. With VAT rates as high as 27% (in Hungary, the average EU VAT rate is at 22%) you need to ensure that you understand how it works so you don’t make any costly mistakes. You’ll learn about VAT terminology and concepts and how they relate to sales tax. You’ll understand how VAT works for retailers, manufacturers, and service providers. This topic is critical for anyone selling digital goods as many countries impose collection responsibilities on remote sellers of digital goods – not much different than what we are seeing here in the US. VAT isn’t just a responsibility for companies with physical presence in other countries. And you’ll learn how to stay VAT compliant, including registration, collection, and remittance procedures. Don’t try to figure out VAT on your own. Get expert guidance and answers to your questions at this live webinar so you can handle VAT with confidence and ensure that you’re doing it right! In this 90-minute live webinar, sales tax expert Diane Yetter of the Sales Tax Institute and Florian Hanslik, Partner / Indirect Taxes at PrimeTax, will teach you what you need to know about Value Added Tax. Learn how VAT differs from the U.S. sales tax system, how to determine if you have an obligation to register for and collect VAT, how to comply with VAT requirements, and much more. And during the live Q&A portion of the webinar, you can get answers to your specific sales tax questions directly from Diane. Learn how VAT works for retailers, manufacturers, and service providers and how it differs from the U.S. sales tax system. Learn about remote seller requirements for digital goods as well as low dollar thresholds. Understand VAT terminology and how to translate common sales tax concepts to VAT concepts. Discover how to determine when you have a VAT obligation so you can ensure that you’re in compliance. Understand administrative requirements such as registration, collection, invoicing and filing for VAT. Learn how to navigate complexities that arise with VAT so you can avoid common mistakes that many U.S. pros make. Gain insights into how the audit process works for VAT so you can reduce your audit risk and avoid expensive surprises. Canada’s tax system operates in a very different fashion from the U.S. There are many reasons why taxpayers need to understand these differences and how Canada operates in regard to taxes.